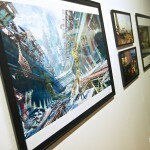 We’ve posted a local copy of Beorn’s photos from the opening night of the “Ghosts in the Machine” Destiny concept art show at Ltd Art Gallery in Seattle! Go check them out! Growing up as a very young Nintendo fanboy during the reign of the N64, it’s no surprise that Nintendo Power magazine was my first introduction to the Electronic Entertainment Expo (E3). Without the internet to rely on for gaming news and previews, I was forced to wait an entire month for each new issue of the publication to arrive at my door. A trade show where attendees could play unreleased video games all day instead of waiting on print media for gaming news? Reading about that filled my head with the kind of dreams only a kid raised on The Wizard could think up. Colin Dosaj has been snapping pictures everywhere he’s gone – a Day 1 gallery (Day 1 being Monday, the day of the Microsoft and Sony press conferences) is now up. Go browse! Bungie’s multimedia gallery has been updated with new screenshots from the demo broadcast earlier today. Check them out here. Did you see what I just saw? If you didn’t, the gameplay demo isn’t up just yet on YouTube (“Coming Soon”), but you can catch a trailer that gives a pretty intense overview of it and shows some more glimpses of Destiny. 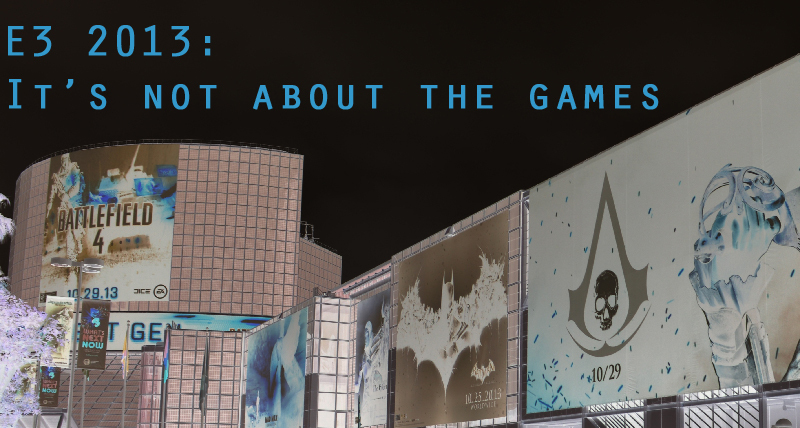 Visuals, music, narration, gameplay and in-game cutscenes, oh my! As well, a reaction thread is growing in our forums if you wish to discuss, and they’ll be be plenty of splinter conversations cropping up in there too as the day lingers on. Now, Go! Share your tears of joy or anger with strangers on the Internet! Sony’s E3 Press Conference begins! The livestream has just started here: http://www.ustream.tv/embed/443086 and we’ve already seen a few quick flashes of some Destiny! Get to watching! It’s nearly go time – the Sony press conference kicks off today, and the Destiny deluge starts then!